A misfiring Gretna side had an early left off when Mids hit the upright with the Gretna rearguard posted missing and Parker rooted to his line. This did not serve as a warning as minutes later the home side took advantage of poor defending to open the scoring with Parker left exposed at the back. The visitors drew level through Anderson after a goalmouth scramble midway through the first half. The home side were then were gifted a second when a mix up between Parker and Inglis managed to allow Mids forward to guide the ball into the empty net. H/T 2-1. The second half was barely a minute old when Milligan latched onto a cross by Smith to steer home the equaliser. 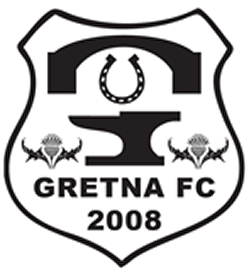 Gretna dominated the remainder of the game with substitute Atkinson putting the hoops into the lead for the first time on the night and Milligan converting a penalty sealed the result after Atkinson was brought down. 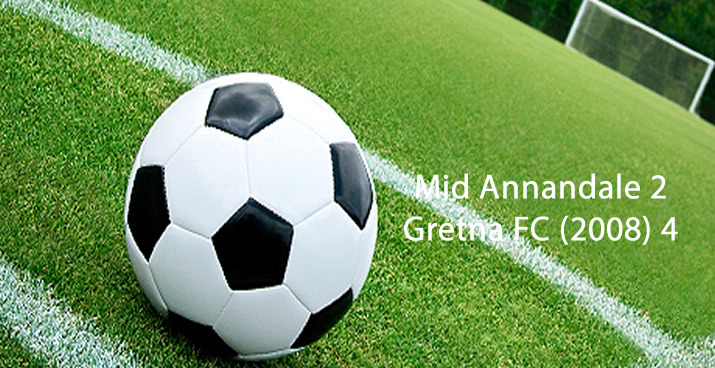 Gretna face Glasgow Uni away in next round.